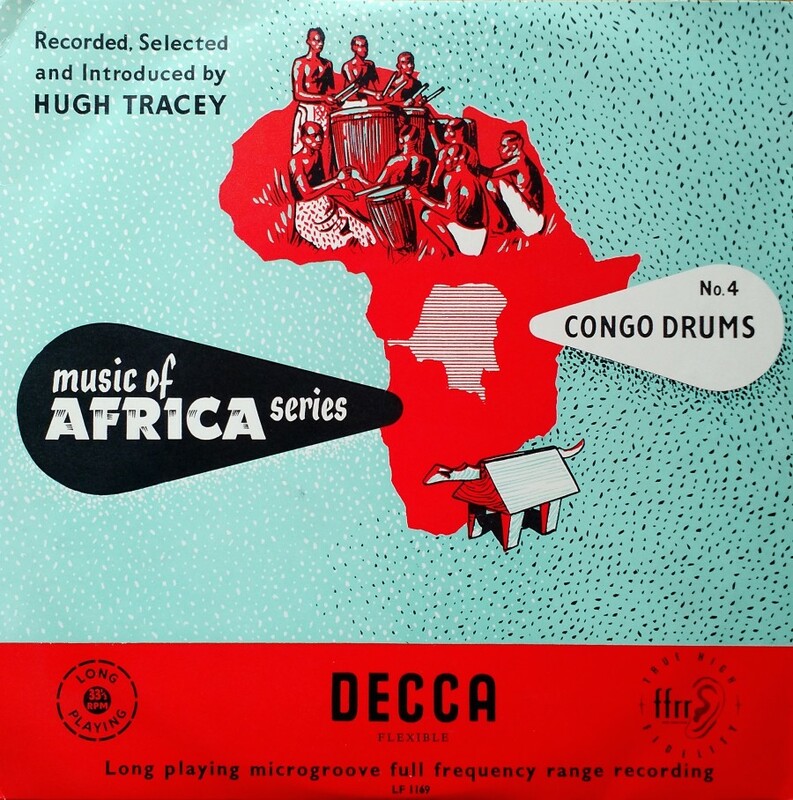 I’ve been making my way through this wonderful collection of records from 1952 made by famous ethnomusicologist Hugh Tracey. 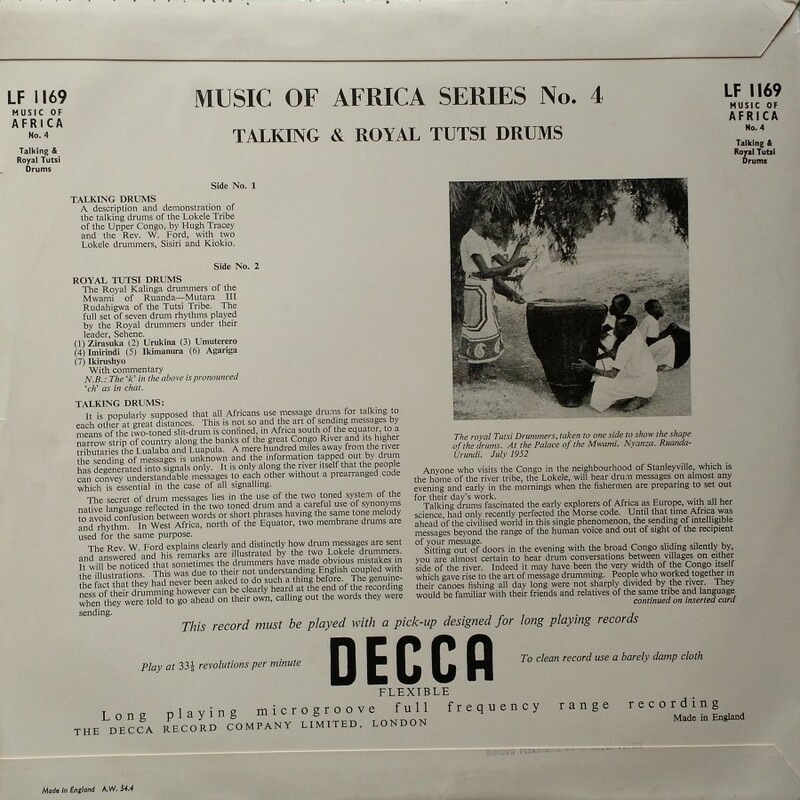 Here’s one of my favorites so far on talking drums from Congo. This material is copyrighted, but as far as I can tell, totally unavailable anywhere online. I suspect Hugh Tracey himself would be very happy to have these recordings made available to a larger audience.